WILLEMSTAD – Yesterday the Parliament of Curaçao met to discuss the election process. 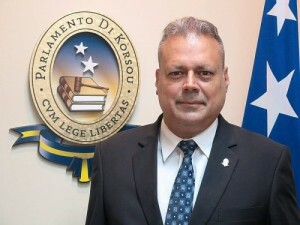 The current Minister of Government Services, Planning and Policy, who is also responsible for the Supreme Electoral Council (SEC), Norberto Ribeiro said that he can guarantee all future elections. This answer came after he was asked if there will be elections on April 28 this year. Ribeiro said that a National Decree and a Ministerial Decree cannot be compared. “It’s not true that a National Decree has to always be followed and not a Ministerial Decree.” He also spoke about which one is higher than the other. The Minister indicated that the SEC falls under his authority. That is why the most sacred thing is not the National Decree or the Ministerial Decree, but the real law is the Electoral System which was approved by parliament. The Minister said that he will always respect the Electoral Rules and Regulations. The Minister hopes that by Friday there will be a Terms of Reference (TOR) for the new boxes that will have to be used during elections. Parliament is against the use of cardboard boxes. The Minister also said that there are several irregularities within the SEC and he intends to fix these. “These problems already existed in 2012. I will do my utmost to guarantee any elections in the future and we will maintain the same Electoral System. But I will present a bill proposal to make some changes in the Electoral System. This will take time,” said the Minister during his intervention in Parliament. The Minister indicated that he is doing this to guarantee that no fraud will be committed with the elections.